Books are the best companion of any human being – we read them when we are alone, not feeling good, travelling, want to gain knowledge about anything or just for fun. Everyone got its own taste and you can find books according to that such as fiction, comedy, suspense, inspirational, study related and many more. One thing we also know that digital age is expanding at a rapid pace, we almost spend more than half of a day on our laptops or computers for professional or personal reasons. That’s the reason, we can’t get too much time to read hardback books. But, E-books comes to rescue for those who has a passion for reading just like me. I can’t help it without reading and I know there are too many freaks out there who loves to read. This is why, we always comes with any possible article related to E-books such as best sites to download free e-books, free e-books for web designers and free e-books for bloggers. You can take these books with you anywhere and read it anytime in your free time. If you have iPhone, you can also download free e-books reading apps so that you can read on web too. Though, these are some of the useful resources we shared on SaveDelete related to E-books, one thing my reader always asked – “Can you come up with the best resources to download free audio books“? I always wonder why someone want to listen books but when I listen my favorite author’s book while traveling – I came to conclusion that audio books are really great. First of all, it gives lively experience to your story, you don’t have to open your laptop while you are on the move, its easy to put headphones in your ears attached to your mobile phones rather than in reading books on your laptop and many other reasons. So, keeping all these advantages in mind, I started researching best possible resources to download audio books and become succeeded in it. 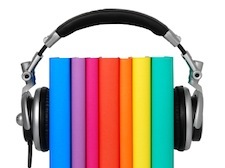 This post focused on 18 best sites to download free audio books. Just click on the link and download your favorite audio book.